Russell builds upon your seat pan which requires a bit of down time. Unless your short legged buddy buys the low seat and happens to lend you his standard seat to ride. You may invest in colors, fabrics, heat, backrests. My simple build cost $650 USD. 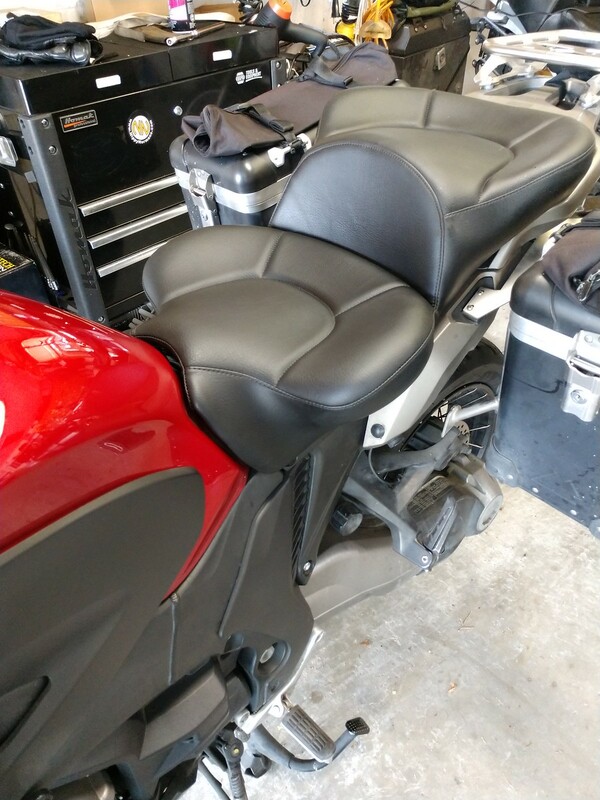 I also added a Bestrest backrest (not from Russell). Simple and elegant, in my opinion. The beauty of the build is Russell uses pictures you send to dial in your fit. It may not be the most economical option, especially for those not in North America. But if you don't just want "better", I submit the RDL is "best". 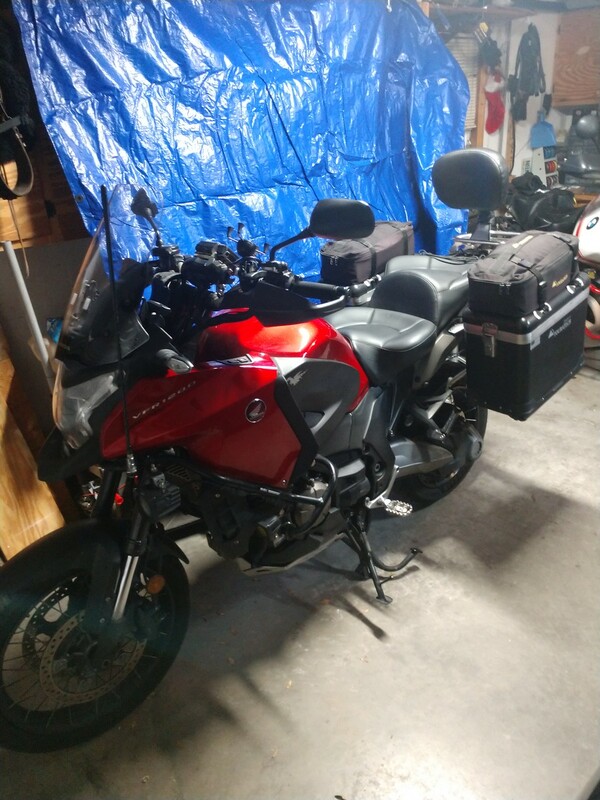 It's really big, it resembles the seat on my Goldwing. I'm going to do something in the future but probably not that seat. I find the factory seat fairly good for a stock seat. Corbin will be releasing one for the X soon. I also want a leather seat cover. 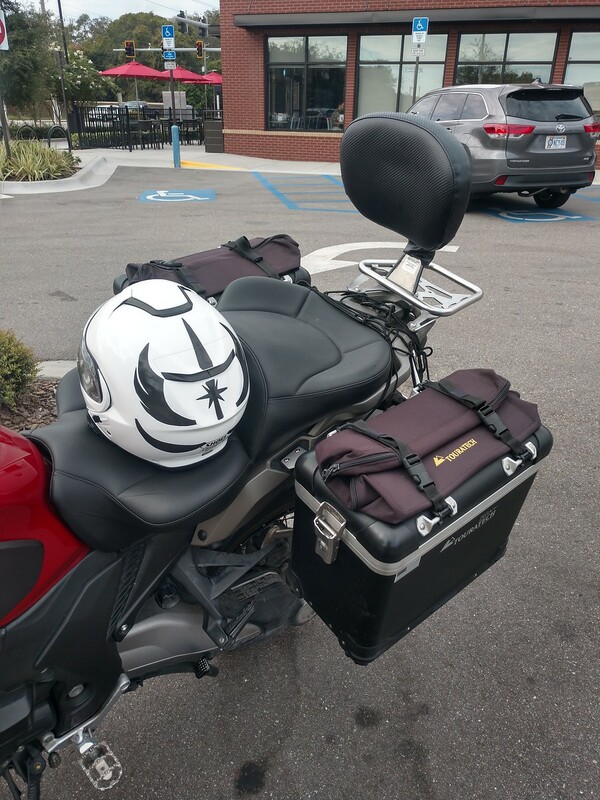 If you get a chance can you post an overall image of the bike with the seat mounted? Thanks. Can't speak to aesthetics, eye of the beholder and all, but I will acquiesce that she is "bigger". Doesn't hamper cornering or dismounting, but oh my does it improve the ride. This is the best I can do for a pic in the garage. We are heading out for a long weekend so she is loaded and ready to roll. If you want a particular angle I can easily supply that a little later. It doesn't look all that out of place. That may be an option for touring - 2 up and keep the stocker for commuting. Thanks! I've had 2 Russell seats and they're the best - truly all day comfort. 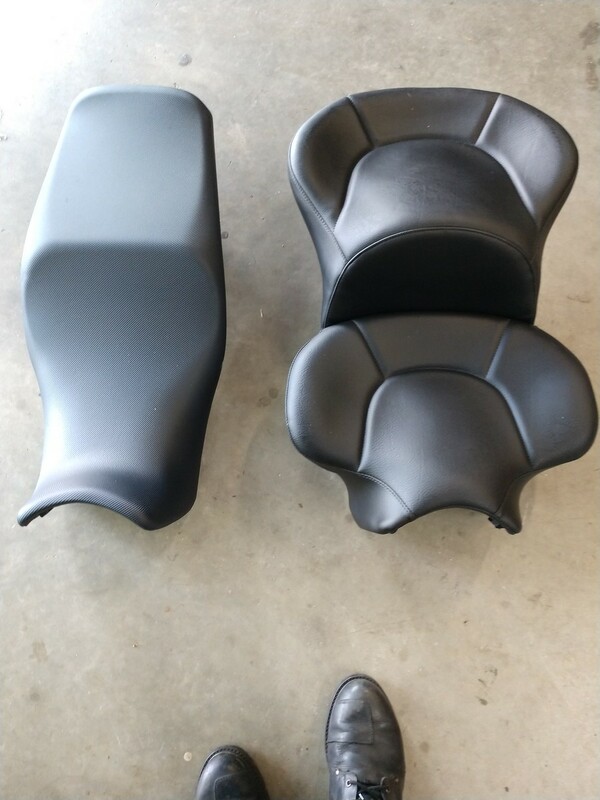 A significantly less expensive option, if you don't plan on carrying a passenger, is to only have the driver's seat done with the full day-long workup and they'll recover the stock pillion section to match. Looks great. I had one on my KTM super adventure, it's an all day seat. After 75 miles on the original KTM I used to have to be medically extracted from it. It cost a bit because as I had import duty when it was sent back to the UK but its so comfortable it was worth it.on the CT I've got a touratech high seat which works well.i I'm tempted to get one for On the K16 but that depends on BMW sorting out the bad oil consumption it has. Just out of curiosity, what was the cost to bring it into the UK? For items I want sent this direction, I work through the company RevZilla if at all possible. It made my R&G bits, for example, affordable, non-refundable, but affordable. I can't get everything through them unfortunately and I imagine it would be costly for you to import an RDL. Did you consider the RDL sport seat?